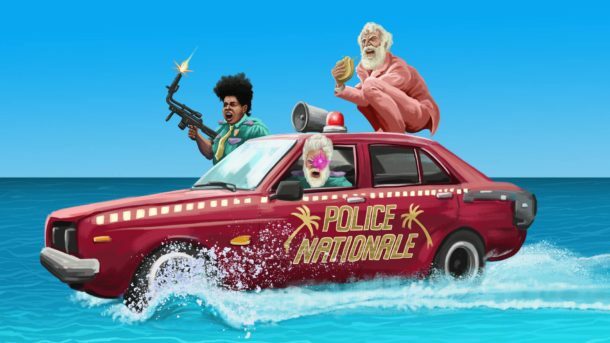 Jim Hosking’s Comedy Series ‘Tropical Cop Tales’ Premiers on Adult Swim. Two burned-out city cops – Keymarion “Primetime” Weeyums and Demetrius “Meechie” Franks – relocate to a tropical paradise for a relaxing twilight to their careers. It ends up being the most vicious, menacing place on earth, not even slightly relaxing. Watch the tropical arrival of Primetime and Meechie here.